FREE Baby Sling! Just Pay Shipping! You are here: Home / FREEbies / FREE Baby Sling! Just Pay Shipping! 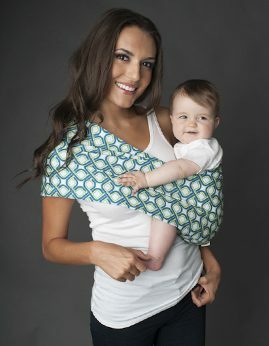 Seven Slings wants to give you a promo code for a FREE baby sling (a $48 value)! Go to here and click on ‘Shop Now”, select any baby carrier you would like. Be sure to go to the sizing page so that you can get the right size carrier for you. Once you have selected your size, you will automatically be directed to the “shopping bag” where you can enter the promo code “ENBABY “ . You can use the code more than once- simply open a new browser window to do so.